I'm writing an extra blog post this week because I've got so much done in my room over the last week and a half! I didn't want to wait a whole week when I know many of you are starting back to school this month and can't wait for those new ideas. 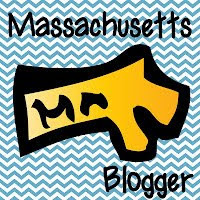 :) Plus I promised a special announcement (that will be toward the end of this post). At the beginning of the summer I decided to make a number of changes in my classroom in the hopes of making it not only more inviting but also even more organized. 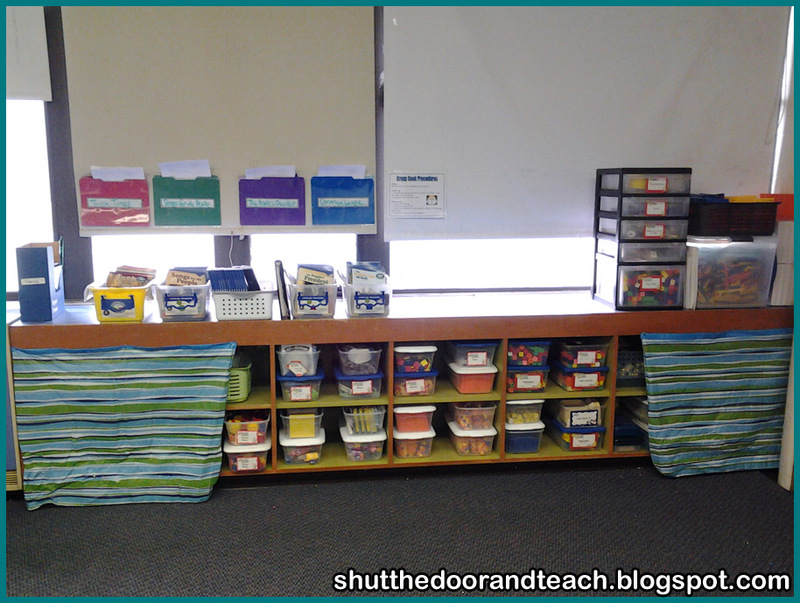 I finished the bookshelf the other day, and today I finished the math manipulatives shelf. Here's what it looked like near the end of last year. Although I love the curtains that cover a few materials that we don't use as often (as well as the indoor recess games) I still felt like it's not as neat as it could be. So I started out by purchasing just a few extra Sterilite containers. My goal was to have a uniform look. I was a little nervous about having all my materials fit in them (there is more empty space around each than I would have liked) so I knew I needed to purge. And I finally did. 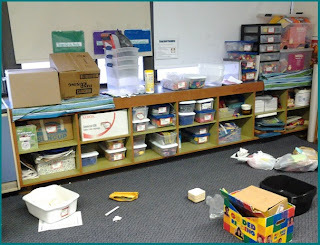 I'm ashamed to say it, but there were a couple boxes from my classroom's "previous owner" that I'd never even looked in. Here's how it looked at the end of Monday (right). At this point I also started thinking about the base ten blocks (top right corner). These have always been an eyesore, and I dreaded using them in lessons because they are a pain to distribute. Plus with my shoulder issue (that the doctor says will only get worse) it's been painful for me to get them down for the past year. 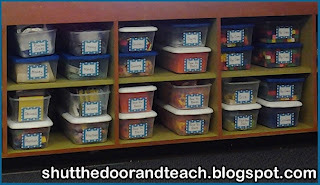 So I decided while I'm making the commitment to organize, I need to separate them into 5 containers: one per group. So here is how it looked at the end of Tuesday (below). Nearly there! I had lots of extra base ten blocks, but now the extra tens are in gallon bags that I can lift out individually instead of having to move the whole bucket. The extra hundreds are in that brown crate on top, and the thousands are stacked in the corner for easy lifting. I also decided that the stuff on the far right, the recess games, would have to stay mostly as is, just neater. 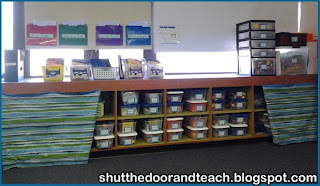 The only thing left to do today was enlist the help of my husband to peel off all the old labels so I could replace them with new ones I made that match my classroom colors. And here is the end result! It doesn't get much better than this! I can't wait to reveal the rest of my classroom photos so you can see it all in context. :) I'm really excited about how it's all coming together to look organized, cohesive, and fresh. Finally, for those of you who have been looking forward to my announcement, here it is! 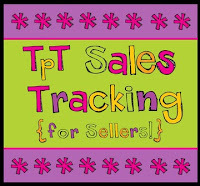 Teachers Pay Teachers is holding its annual Back to School sale on Sunday and Monday! Whether you are in the pre-planning stages like me or you're already back to school already, it's a great opportunity to stock up on those items that you know your students would benefit from but that you just don't want to make yourself (after all, why reinvent the wheel?) 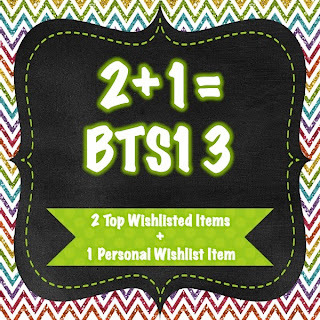 I'll be marking down all my products, so if you want to save 28% on your purchases just enter promo code BTS13 on 8/18 and 8/19. 1. 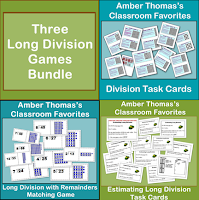 My Long Division Games Bundle is a great way to get fourth graders engaged when it comes to practicing long division. They use visual as well as hands on models to help kids really see what division is all about. My students actually request time to do the money activity during math! I never thought kids would ask me for more long division! 2. 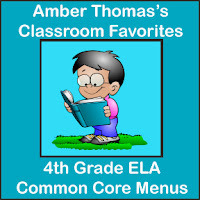 My ELA Common Core Menus and Checklists. I've reorganized the fourth grade common core standards according to ELA class periods, such as reading, writing, and Morning Meeting. 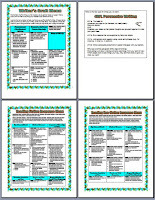 Each topic is a page (or half page) so all the standards are there at a glance. 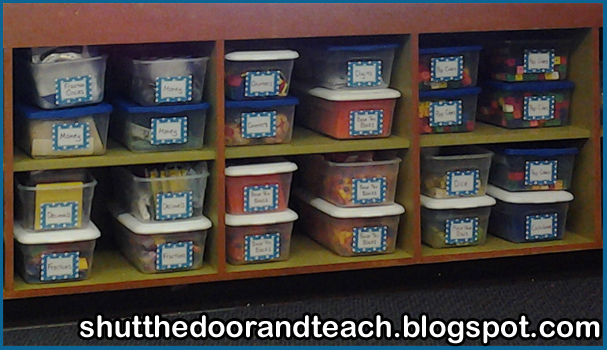 They are paraphrased in kid friendly language so you can distribute them to students as well. 3. 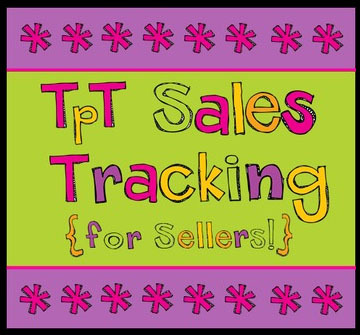 I can't wait to buy the TPT Sales Tracker for Sellers! I've been coveting this for ages and I'm going to finally give in to temptation and go for it! It's got a lot of good reviews so I'm excited to grab it up. 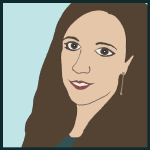 I hope you find some great deals during the sale and have a great start to your year!